What’s more refreshing than a brand new year. 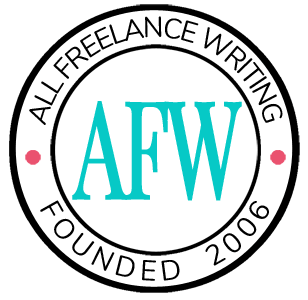 It’s another chance to do things right with your freelance writing business and your finances. Here are seven things you should do during these first few weeks of January to get your finances on the right track. As you think about your writing rates for 2010, consider how you fared last year. You don’t always have to raise your rates just because you have more demand for your services. The clients who wanted to hire you in 2009, might not want to pay your higher 2010 rates, which means you’ll have to look for new clients who are willing to pay those rates. Raise your rates based on the value you provide to your clients. If your value didn’t increase in 2009, your rates shouldn't necessarily increase in 2010. 2. Estimate your annual income. You may not be able to predict the exact dollar amount you'll make this year, you can estimate your annual income based on what you made last year and what you (reasonably) hope to earn this year. You need to have an idea of what you’ll earn this year so you know how much you’re able to spend. Plus, an income goal gives you something to work toward. You know when you need to pick up more writing clients and when you have enough work. 3. Create a tax plan. Having a tax plan early in the year will make life much easier next April. Use your estimated income from #2 to figure out how much you’ll owe in income taxes this year. Then, divide that by 12 to calculate how much you need to save for taxes each month. Include your tax savings in your monthly budget so you know whether you need to make more money for the extra expense. 4. Organize your financial records. This means putting away your invoices and receipts from 2009 (but not too far away, you’ll need them to file your income taxes this year by April 15). You should also create new files to store your 2010 invoices and receipts. If you didn’t have a functional filing system last year, now is a great time to start one since your invoices and expenses are few. 5. Set financial goals and make a plan to reach them. Besides make enough money to make ends meet, what do you want to accomplish this year with your finances? Some goals you should include on your list are: save more money, pay off debt, and contribute to a retirement fund. When you create financial goals, be specific about what you want to accomplish then decide what you need to contribute each month to make it happen. For example, if you want to contribute $2,400 to an IRA this year, you need to deposit $200 in your IRA each month. Make sure your budget includes your financials goals. 6. Update your business budget. Your freelance writing business should have a separate budget from your personal budget. From your writing income, allocate a certain amount each month for business expenses. Then, decide what you’ll need to purchase this year – web hosting, new domains, conferences, etc. 7. Update your personal budget. You’re not the only one evaluating your rates at this time of year. Every other business is doing the same thing. That means, you might see increasing rates on your services. Update your budget to include these price increases along with your estimated income, personal goals, tax savings, and regular monthly expenses. You don’t have to wait until a new year comes to evaluate your finances. Every item on this list is something you should do periodically during the year to keep your finances on track.